MILLARE Fashion: It's 30 Days to the Christmas Family FunFair Featuring Santa Village In Lagos. Are You Ready? It's 30 Days to the Christmas Family FunFair Featuring Santa Village In Lagos. Are You Ready? It’s 30 days to go for the biggest thing happening for families this Christmas in Lagos. It’s bound to be breathtaking as the organizers, Buzz Media have partnered with Play Barn – Nigeria’s Leading company in children entertainment to bring you The Christmas Family FunFair featuring a Santa Village. This event also presents an opportunity for companies and corporate organisations to host end of the year parties for their staff children and families in a conducive environment. Christmas in Lagos will never be the same again. 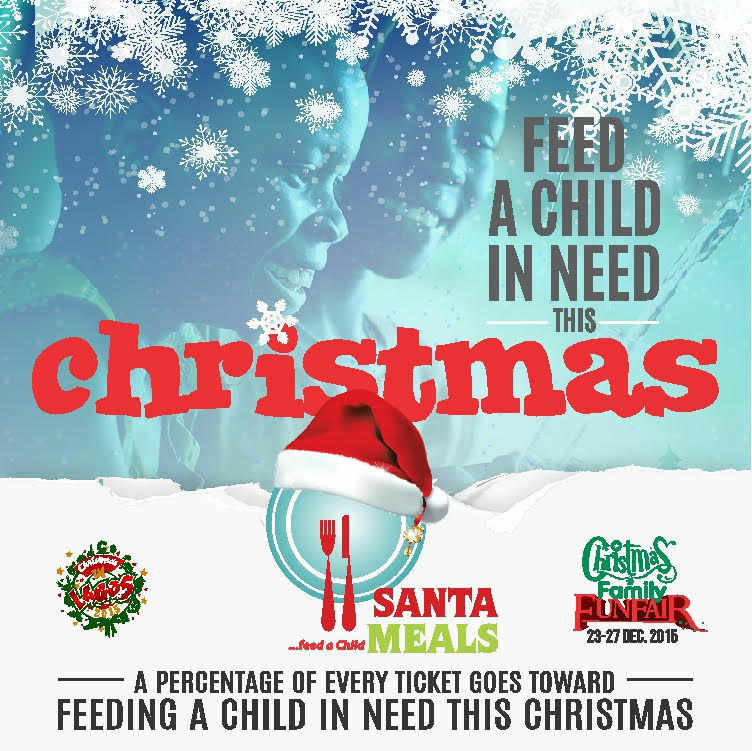 Santa Meals is a program by Christmas in Lagos management and partners to give back to the needy this Christmas. We believe every child deserves a good meal this Christmas and this will be funded from tickets sold. Afromedia is an Outdoor Sponsor of Christmas In Lagos. Be the first to know Text ‘Buzz’ to 20822 for a chance to win giveaways. SMS costs N10.